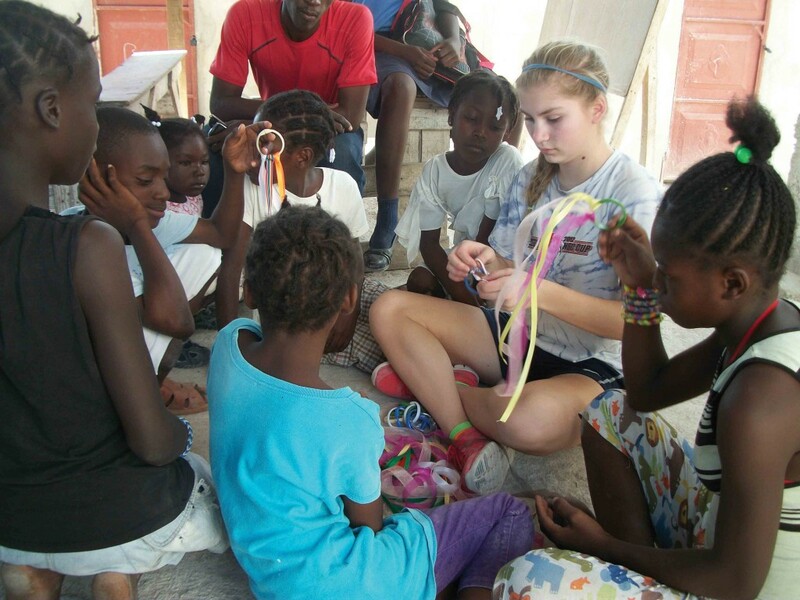 It is one thing to take a family trip and ensure it has safe gluten-free options, but it is something altogether different when the family “vacation” is actually a mission trip to Haiti. My family traveled to Haiti this spring, and since my daughter Emma has celiac disease, I spent the months leading up to it investigating whether the organization we were working with could create gluten-free meals. The biggest worry was that I would be told that preparing gluten-free food would not be a problem, only to get there and find that wasn’t the case. My experience showed you don’t have to rule out trips to more underdeveloped parts of the world for a mission trip or otherwise. But you do need to start planning early to have a successful adventure. Preparation for our trip was more difficult for me than actually going. We went through World Wide Village (WWV), an organization based in St. Paul, Minnesota, which arranges travel only to Haiti. The trip was family-oriented, and my husband, Joel; our 12-year-old daughter Grace; 15-year-old Emma; and I all went. I was concerned about going to a Third World country and finding that Emma would not have much to eat because of limited availability of gluten-free options. I also worried that if WWV couldn’t produce a gluten-free meal, I would have to stay back from the daily mission work that was the purpose of the trip and cook for her. When we contacted Pat Mortenson, event director, she said that, while the organization had accommodated vegetarian and vegan meals as well as some food allergies, our gluten-free request presented challenges. “We had some doubt that our Haitian staff would understand the complexities of the request, mainly because our American staff did not fully understand the issues,” she explained. Months in advance, I met with Mortenson and her husband, Randy, who co-direct WWV. We went over my concerns and the basics of a gluten-free diet, cross-contamination and the critical role the diet plays for those who have celiac disease, including Emma. They said they would work on a menu. It took awhile, and I had a little angst in the process, but the menu came together about two weeks before our trip. While in Haiti we traveled daily from the WWV guesthouse 90 minutes one way to the small town of Williamson. There we helped build and paint houses, surveyed land, poured concrete and built relationships with the children. All that work left us famished. Each morning and evening we had a wonderful gluten-free meal waiting for us: eggs, bacon and potatoes for breakfast, and dinners that included ingredients like goat meat, eggplant, hamburger, potatoes, ham and plantains. I’d also provided gluten-free lasagna noodles and flour. Our entire team agreed to be gluten free all week, a decision that helped eliminate cross-contamination. In the future, Mortenson said, all the teams working through WWV during a given week would have to agree to be gluten free in order for accommodations to be made. “There are not separate cooking utensils available to prepare separate dishes. There would be a high risk of cross-contamination if meals containing gluten were prepared alongside the gluten-free meals,” she said. For us, in the end, every meal was gluten free, and we had no problems on our trip. 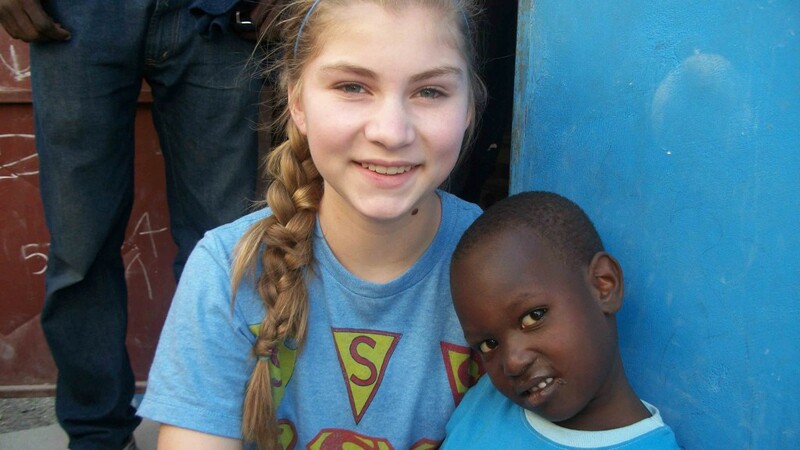 While we stayed and ate at the guesthouse where cooks prepared our food, Rachel Martin, a gluten-free mom from St. Michael, Minnesota, ate and lived in local villages during her 2013 Haiti trip through Praying Pelican Missions. As a result, she cooked with the women in the village and had to avoid the bread that was part of their meals. “We would have boiled eggs for breakfast, fruit and bread,” Martin said. She also ate other gluten-free foods, including fried plantains, rice with vegetables and shrimp. Between those foods and extras Martin brought with her, she had enough to eat. She said the grocery stores had a lot of the same gluten-containing processed foods as those in the United States, but in the villages more natural food was used. Fellowship of Catholic University Students (FOCUS), based in Golden, Colorado, organizes domestic and international mission trips for young adults. Meghan McCartney, director of staff care and development, has celiac disease and has gone on several trips, including her first to New Orleans after Hurricane Katrina. McCartney recommended starting with a domestic trip. When she went to New Orleans, she packed food for herself and worked with the food that was provided. She said being in the United States was reassuring because she knew she could go to the local supermarket if she had to. “I knew I had an out,” she explained. FOCUS trip participants stay in host homes. As a result, the hosts cook for the guests and make decisions about what is served and how it is prepared. McCartney said trips to Mexico and Central America would be good choices for gluten-free international volunteers because foods in those countries are not as wheat focused. Corn tortillas are very common. She said she has eaten gluten free on trips to Spain, Ireland, Italy, Israel, Dominican Republic and Honduras. Despite the challenges of staying with host families, McCartney said she was able to manage. During one trip, she avoided the pastry on the table but ate the corn tortillas and raved about them to the host. She also learned how to say words like “flour” and “wheat” in the native language so she could consult with the family. Experience Missions, based in Washington state, has both domestic and international trips. When given enough notice, the organization said it can get the supplies to make gluten-free and other specialized meals. Other organizations, including YouthWorks and Adventures in Missions both recommend bringing your own gluten-free food. Contact them to see what suggestions they have regarding their food and your gluten-free needs. Going on a mission trip is supposed to be fun, adventurous and fulfilling. With a little extra planning, it can be all of those things even if you are gluten free. Work with a reputable organization. The organization will oversee your entire experience: the work you do, your safety, your food and recreational activities. Talk with organization about its gluten-free accommodations and explain why you require the diet. Plan ahead. The more time you give an organization to figure out gluten-free meals, the better. Begin setting up your trip 9 to 12 months in advance. Discuss a menu. A menu will provide everyone with a game plan. You will know what extras to pack to supplement meals. Still, you many need to be flexible once you arrive if one gluten-free option has to be switched to another. Some organizations may not be able to provide a menu, but it’s good to always ask and open the discussion about meal planning. Pack extra food. This is necessary to cover meals that may not be provided, lunch for example, and as an emergency backup. Bring healthy, shelf-stable snacks. Don’t bring chocolate to warm destinations because it melts, and refrigeration may not be readily available. Learn some key words in the native language. Triumph Dining, triumphdining.com, has gluten-free dining cards in many languages. Make sure medicines needed for the trip are gluten free. For example, we needed malaria pills for Haiti. The pharmacist confirmed the pills he was giving Emma were gluten free. A trip to a more remote area is a lot different from a typical family vacation. This impacts more than just issues with gluten-free food. Part of your planning should be an evaluation of whether your children are ready for this kind of experience. The trip my family took was specifically family friendly and not as labor intensive as some mission trips. They would eat the food that was put in front of them, even if they didn’t like it (or thought they wouldn’t like it). For Emma, this rule applied as long as the meal was gluten free. They worked on the task they were given. No whining, griping or pouting at the work site. Under no circumstances could they leave the group or wander off. They might see some disturbing or surprising things: naked children, families with very few resources, homes that look like small shacks and garbage on the street. If you don’t think your child is ready for these rules or others you set, then you may need to delay your trip until they are. Amy Leger is the family editor for Gluten-Free Living. Her family went to Haiti for one week last March. She also has a website, thesavvyceliac.com. She lives in Minneapolis with her family.